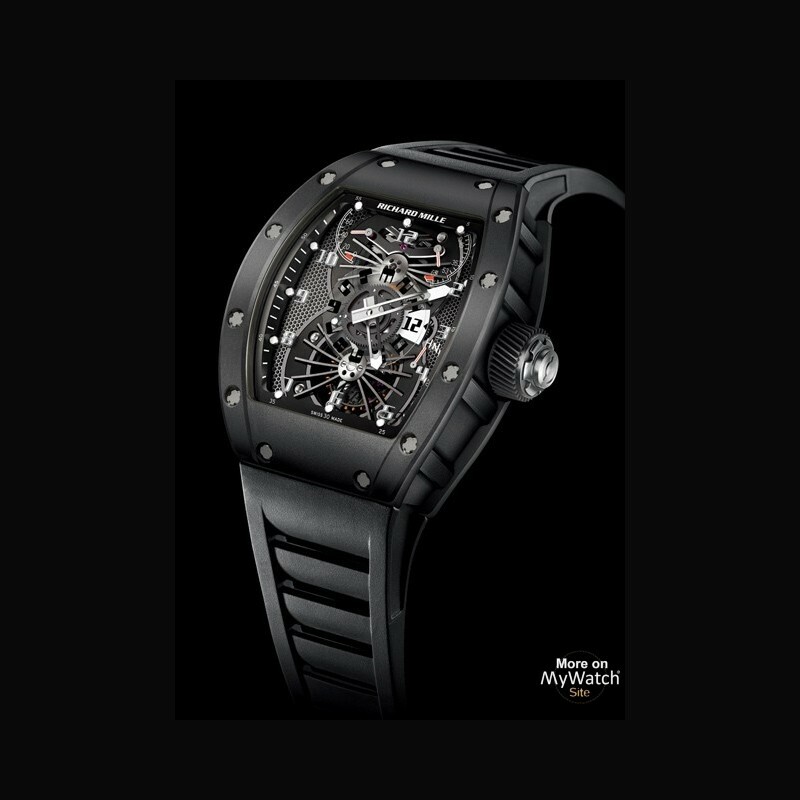 Price request for RM 022 CarboneRef. 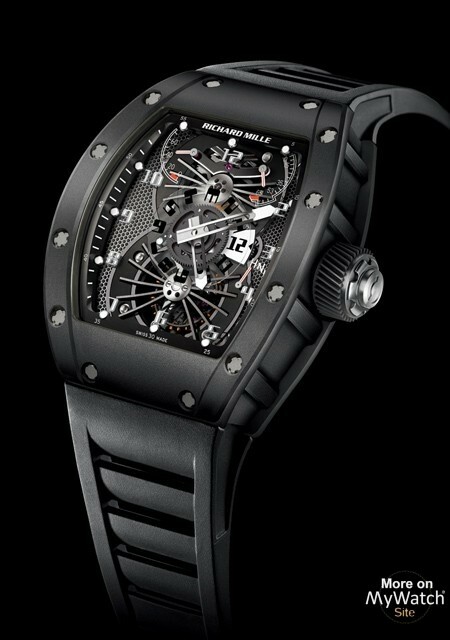 Richard Mille is pleased to announce a new limited edition RM 022 Carbon . 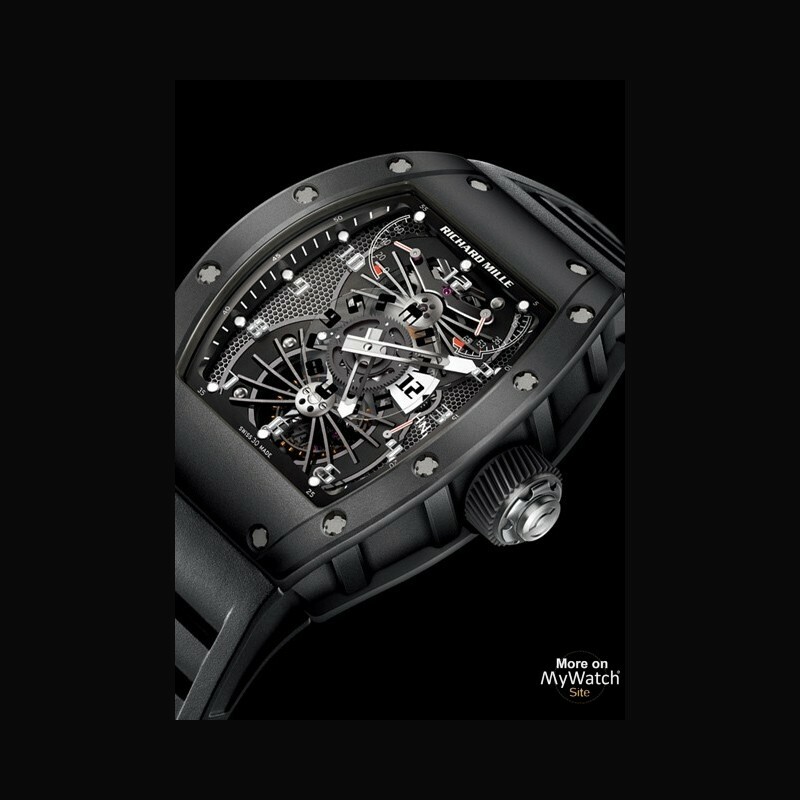 This exciting edition of the RM 022 tourbillon “Aerodyne” Dual Time Zone combines orthorhombic honeycombed titanium aluminide and carbon nanofiber baseplate with an equally innovative, tough but lightweight case created from carbon nanotubes. 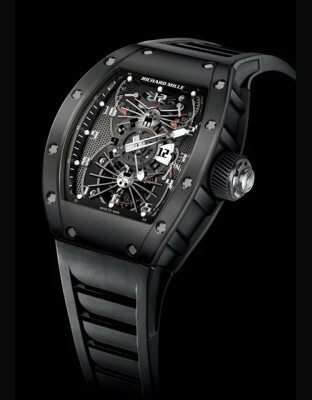 The RM 022 Carbon is produced in a limited number of 5 pieces and will be available from July 2012 at selected retailers in Europe, Middle East, Africa, and Russia. The Calibre RM022 is a manual winding tourbillon movement with hours, minutes and dual time zone on a transparent sapphire crystal disc, which comes into view when suspended above the light coloured field located at 3 o’clock. It also hosts a power reserve indicator (70 hours) between 11 and 12 o’clock, a torque indicator that shows the main spring’s internal tension and a function selector to show the watch’s state in each of the positions for winding, neutral and handsetting. Orthorhombic titanium aluminides are new group of alloys, developed from the main class of titanium aluminides, which possess a specific crystalline molecular structure ordered on the orthorhombic phase of Ti 2AlNb. Its use within a honeycombed geometrical pattern was originally the subject of research by NASA for application as a core material on supersonic aircraft wings, where resistance to extremely high temperatures and torsion is paramount. The alloy in this honeycombed form has unparalleled stiffness, a low thermal expansion coefficient and exceptional torsion resistance. 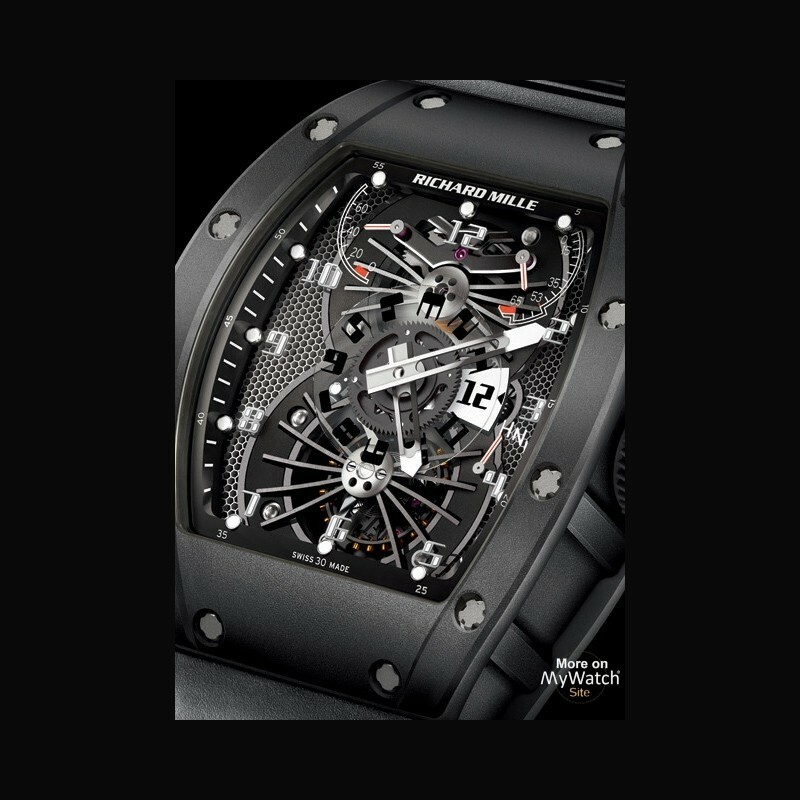 This new RM 022 Carbon is an understated timepiece that epitomises the Richard Mille philosophy, uniting the best of haute horlogerie with innovative inspiration derived from the most recent scientific research into superlightweight metals and other materials.